It’s no secret that competing in the big equitation isn’t just about hard work and talent, it also requires a significant financial commitment. While Courtney Tom had the first two in spades, she couldn’t afford to go out and buy a top equitation prospect. Courtney Tom and Inside Voice. All photos courtesy of Courtney Tom. 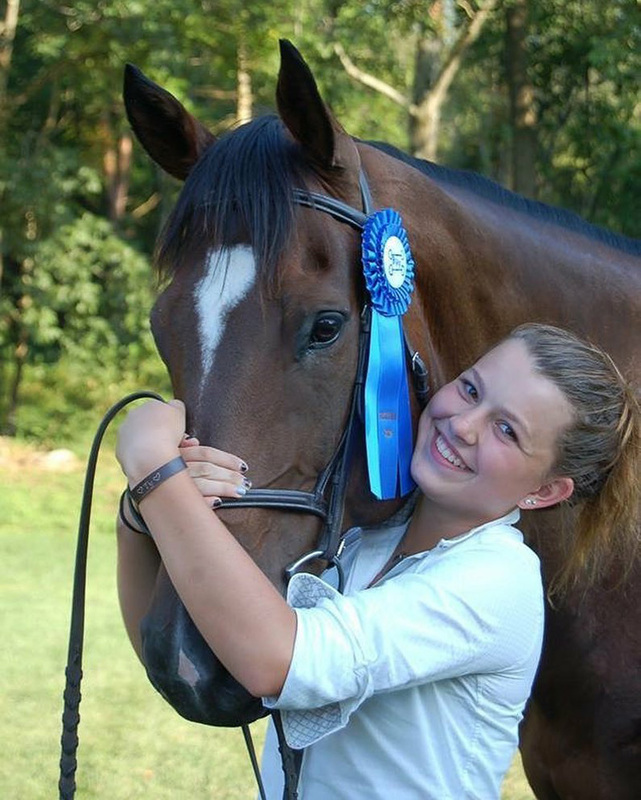 So she and her mother Tracy Tom set out to find something Courtney could bring up the equitation ranks. They found one in Inside Voice, a Thoroughbred gelding (Tale Of The Cat—Driana), who got his show ring start in dressage with Theresa Peck. 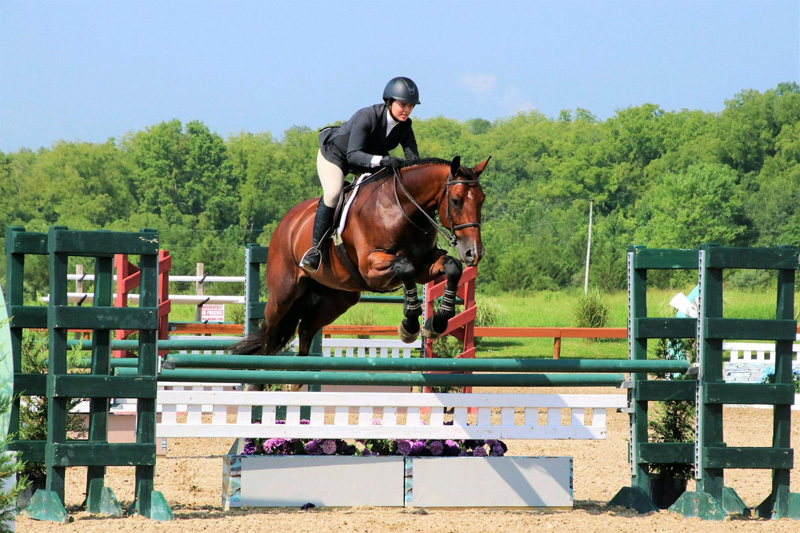 Courtney brought him along through the 2’6” hunter and equitation ranks, and he was ready to move up to the 3’ eq in mid-2015 when Inside Voice colicked and twisted his colon. The only option was to put him down. It’s been three years since that devastating loss, and even today Courtney can’t talk about him without tearing up. But the 18-year-old wasn’t going to let that tragedy force her into giving up on her dreams of competing in the Dover Saddlery/USEF Medal Final. She spotted an ISO post on Facebook saying that Nona Garson and George D’Ambrosio were looking for a working student. Courtney reached out and during her in-person and riding interview, her work ethic showed, and she got the job. That was 2 ½ years ago. “It was completely and totally her idea,” said Tracy, who’s a trainer and now works at Garson’s The Ridge in Tewksbury, New Jersey. “This is what she wanted and what she knew she needed and she reached out, and it’s been really good for her. Courtney Tom will compete Chester T in the Dover Saddlery/USEF Medal Final. Now it’s the eve of the Medal Final, and Courtney is in Harrisburg with Chester T, an 11-year-old Dutch Warmblood (Douglas VDL—Manita) owned by Luis Galindo and Susan McCarthy. 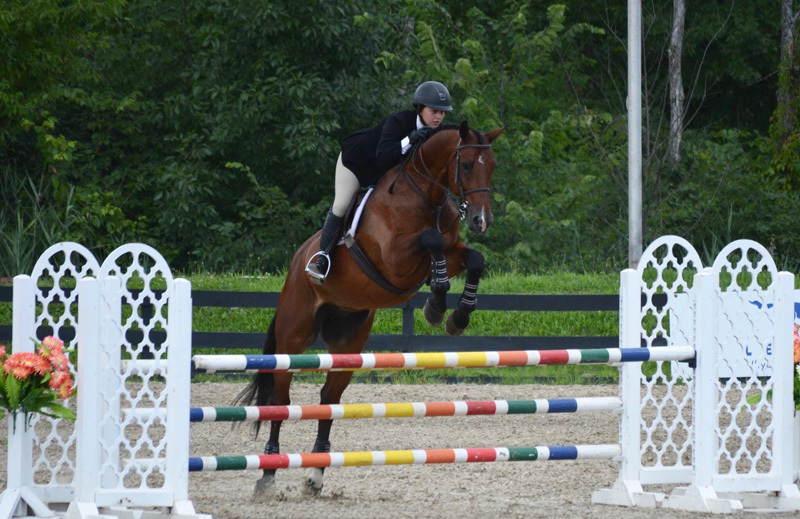 Chester had previously competed up to the 1.40-meter level with Galindo before he arrived at The Ridge to be sold. Courtney’s spent the year transforming him into a talented equitation mount. On paper, Courtney isn’t the obvious choice for a working student in a top program. Inside Voice was the only horse she’d ever owned herself, and the Oxford, New Jersey, teen’s USEF record isn’t dotted with ribbons from high stakes competitions. Until she made the big eq a goal—something she wanted to do because Tracy competed at the Medal finals from 1988 to 1992—she’d only ever showed in unrated divisions. But Courtney’s made up for her lack of a resume with grit and determination. Courtney Tom and Chester T.
And when it comes to the Medal tomorrow, both Courtney and Tracy have realistic expectations. “I just hope she goes and has fun and enjoys the experience of it without all the pressure that comes with it,” said Tracy. Want to see how Courtney and Chester do in the Dover Saddlery/USEF Medal Final? They’re 64th in the order, and you can follow along with the Chronicle’s Kimberly Loushin and Mollie Bailey in their round-by-round blog on Oct. 14 at www.coth.com.